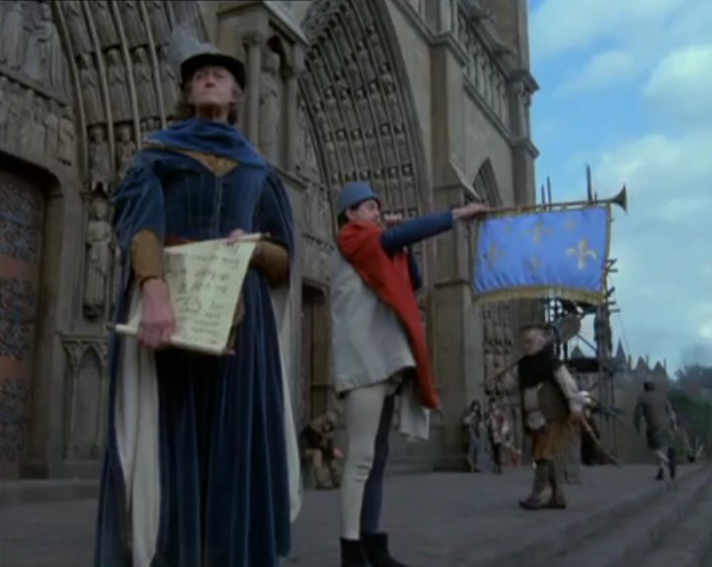 One of the Hallmarks of any Hunchback adaptation is Notre Dame and since Notre Dame falls into the set category this makes the sets important to the movie. At least the sets should be important to the film but in the case of the 1982 version they are not. The sets in the movie are not showcased and this makes them look uninteresting and not memorable. 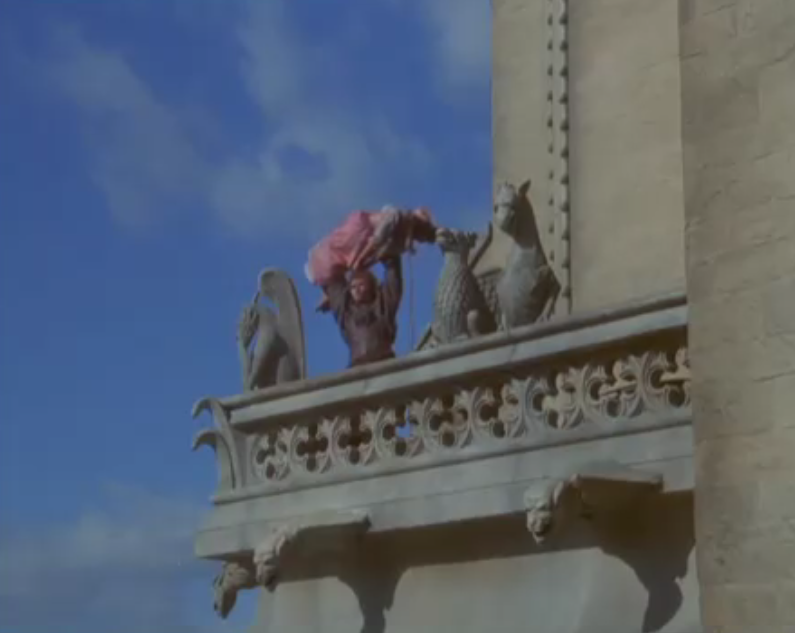 The film does not waste a single shot to establish anything, not even Notre Dame. We only get a few shots of parts of the Cathedral, mainly the door and the gallery. The reason for that that might be the didn’t really have a full scale set of the facade or a even model. They just had a set of the door up to the row statues and the upper galley where Esmeralda and Quasimodo look down on Paris. 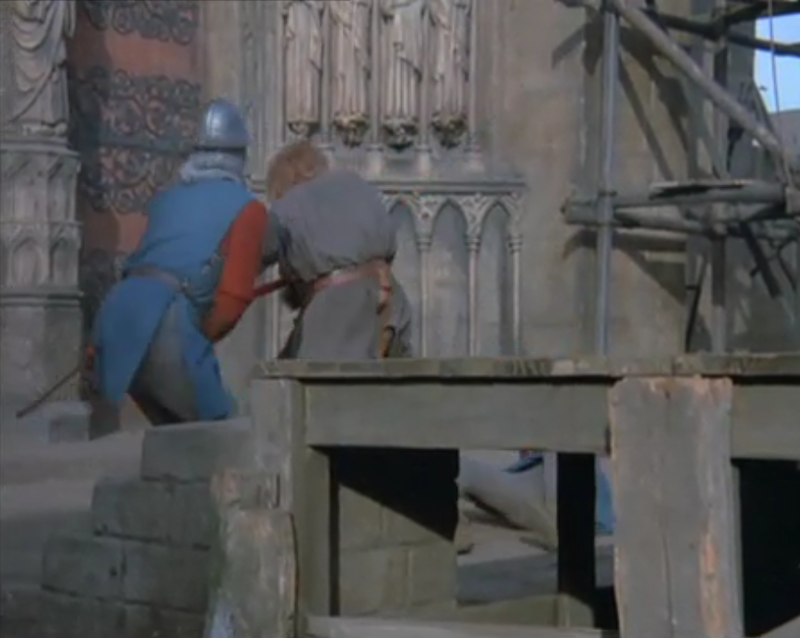 The most they seem to have of the facade is probably a matte painting. 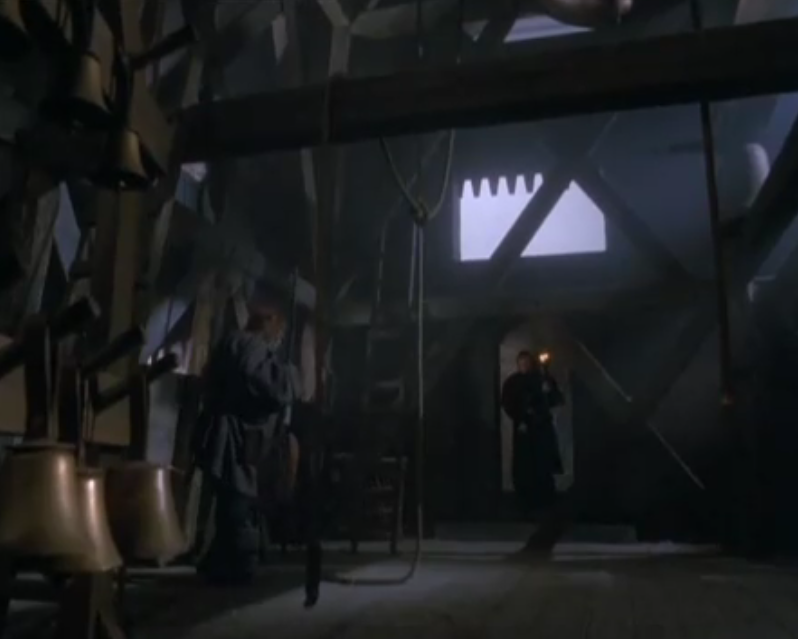 Other than that the interiors sets of Notre Dame are very dark and seem imposing which goes against the ideology of Gothic Architecture of letting the light into the interior. Though we don’t get many shot of Notre Dame’s Sanctuary. However most of the sets are dark in the movie which doesn’t help them to stand out to the viewer. But are the sets bad? No, they are not when you actually look at them. They look like are they are nicely made and have good aging to them. The problem is the film doesn’t care about the sets so the viewers can’t care about them, not even Notre Dame. Which is unfortunate because they are actually decent sets.